Egglo Eggs were very fun to review for our family. Our family generally does not make a big deal out of Easter as a festive holiday like most. We do the fun part of coloring eggs but it is generally geared to teaching about mixing colors. We do talk about the reason for the resurrection instead. When we do our egg hunt it is a quick 5-10 minute game and it is over. So when I was given the chance to review this product I was so happy. I never knew something like this existed! Now I can join the typical festivities of Easter but doing it all with the focus of Jesus! It doesn't get much better than that does it? 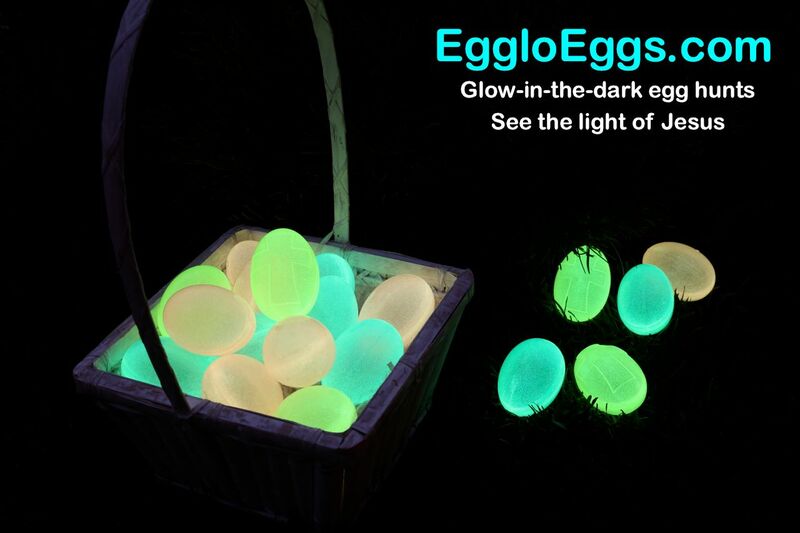 These plastic eggs glow in the dark to allow even more fun of doing this in the dark. It was still cold when we did this so we hid them in the house. 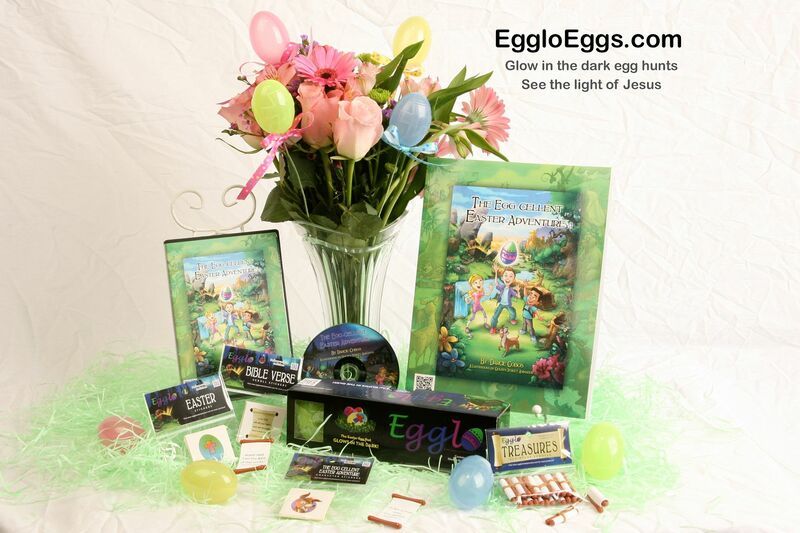 The Egg-cellent Easter Adventure Program Guide is also included which helps you prepare a fun time with your children or even for your church group. The program guide gives devotionals, snack ideas, and review questions for the older kids. The Egg-cellent Easter Adventure book and audio down load is a great addition adding a nice adventure to the idea of the eggs. So upon starting this the guide gave us different areas in the Bible that we could read the story of the resurrection. We started out doing this so the kids got the true story straight from the Bible. My kids are 9, 7, and 5 so some of it was a bit harder to grasp in order to be able to answer the review questions but my 9 year old did pretty good with some of them. Then we went on to read The Egg-cellent Easter Adventure book along with the audio download to listen to while we flipped through the pages. It is also nice when mama doesn't have to do all the reading for something we do with all the kids. The book is about the adventure that Pascal, Hardy, and Anastasia went on through time travel. 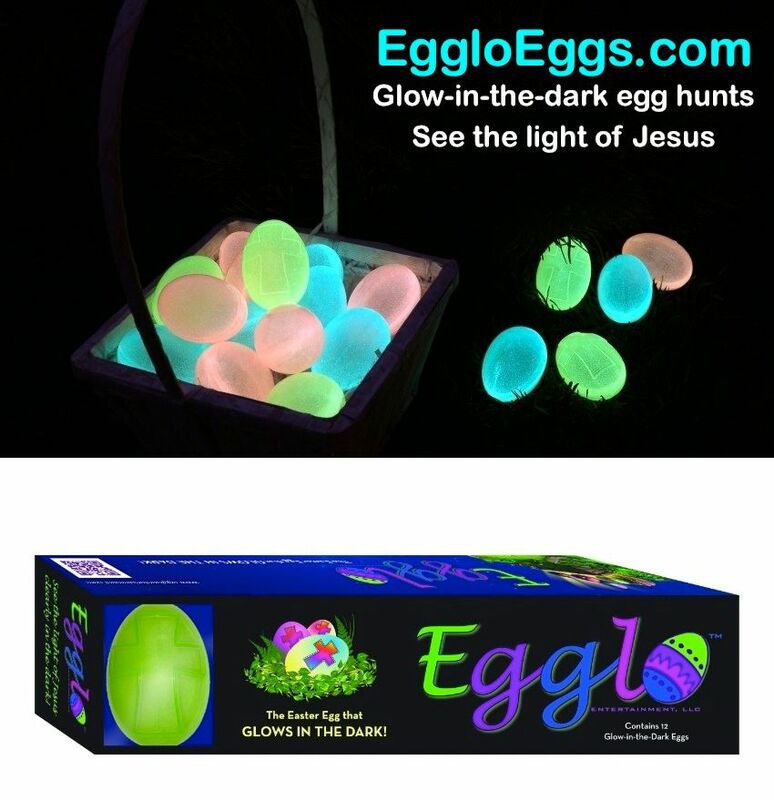 On this travel they find glowing eggs with scrolls in them with thing in them to teach the children about God's will. 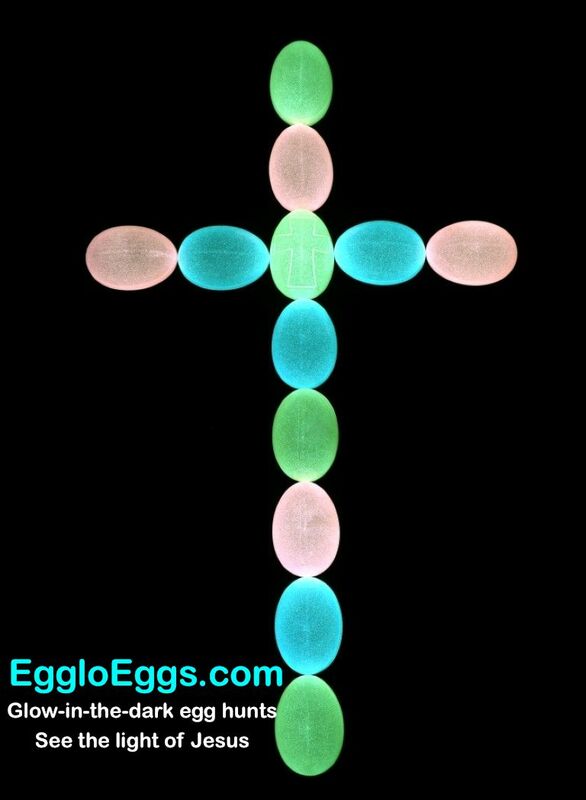 When it came time to use the eggs I filled each one with a scroll and let them set under the light all day. There are 12 eggs and they are blue, green, yellow, and pink. Then when it was dark I was able to turn the lights off in the house and hide them about. The only issue I had was that maybe I should have charged them in the sunlight instead of a lamp because they did not get very bright for me. This made it a bit harder to find them. Also only 12 per package and 3 kids made for a very quick hunt. I will be using these again come Easter time though. I think it would be neat to mix in regular Easter eggs and then it would be extra special to find the glowing ones. Almost like finding a gift straight from God. The kids are pretty excited about using them again. Once we were done with our hunt we turned the lights on and read the scrolls. Each prompted a conversation on what each one meant. What a great way to enjoy fun on Easter but still keeping it all about Jesus and what he is all about. 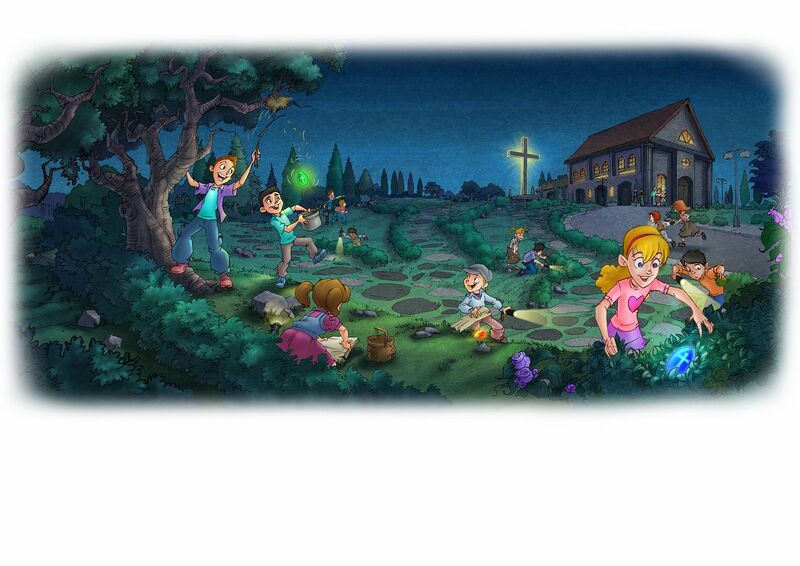 I think this would allow more families to enjoy this day with their kids as well as churches. So many churches do huge hunts that adding this in would make for a better teaching time. Be sure to check them out on their other sites.